“Lancia Stratos… the only evocation of this name wakes up feelings of mixing memories and passion. Erik Comas, ex F1 driver involved in historic racing since 2000, gave his thought about this mythical car that he knows so well. It’s him too who connected Dominique Vincent, the writer, with those having written the nicest pages of this racing car icon”. Forty years after having won its first world rally title, the Lancia Stratos is still having a very unique status in the car industry, especially in the microcosm of rally. Our website as target to give homage to the car, and to those who make this project come true. 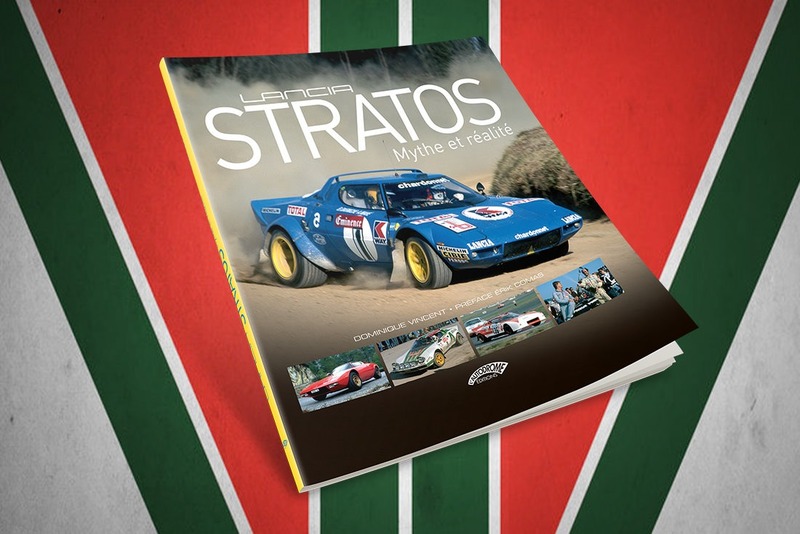 A year ago I suggested to Michel Hommell, the famous French car press owner, to do a book about the Stratos, and next month we launch this book together: “Lancia Stratos – Mythe et réalité”. Yu will find the all story of the Stratos, from A to Z, including the nicest victories, thanks to a long interview that I made with Cesare Fiorio including unbelievable anecdotes and stunning pictures of period. 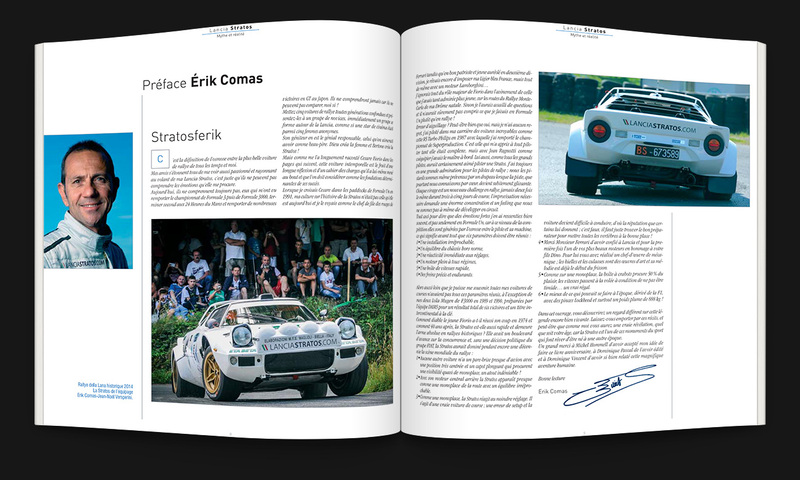 I had the privilege to bring a large contribution to this book, including the preface, a focus on LanciaStratos.com our Racing Team and my dedication to the Stratos.